We have crashed into the clear and obvious fact that women in sports are paid less than men. 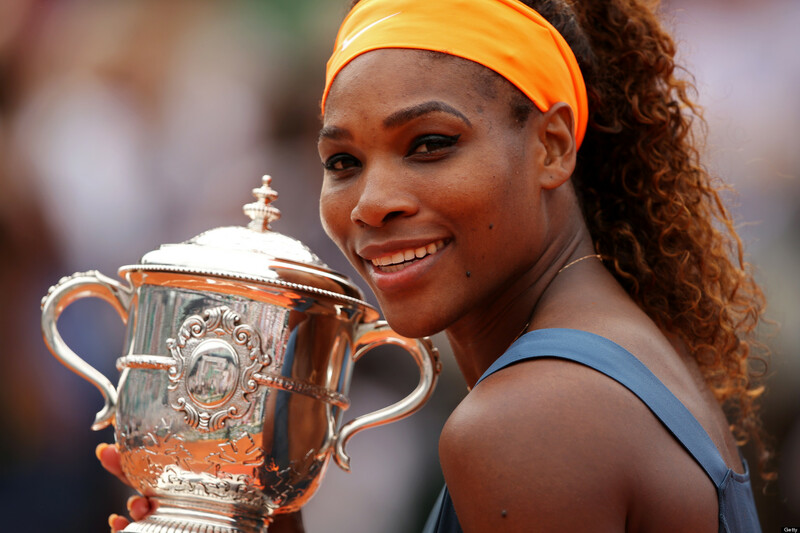 From tennis to soccer, women are standing up for #EqualPay! I’d say, ABOUT TIME! Superstar tennis player Novak Djokovic is showing us what privilege has done to him. At the end of the BNP Paribas Indian Wells tournament, as he’s winning $1,028,300, he still has the gall to say that male players should be paid more than female players. His rationale is that male tennis players bring in more revenue (more TV coverage, therefore more sponsors), and because of that they should get paid more than their female counterparts. This isn’t necessarily incorrect. It is ethically wrong! There was a time when women’s tennis did not bring many advertisers. That doesn’t mean that women’s tennis was not entertaining, fun to watch and displayed the same athleticism that men’s tennis did. It seems like it was more a matter of where the advertising companies decided to spend their money. Who ran the advertising companies? Men. Who made buying decisions in the household? Men. Well, men, TIMES HAVE CHANGED! The biggest buying segment in our country, and across the rest of the First World countries, are 18–24 year old women! The 13–18 y.o. girls are the influencers, the trend setters, the ones that create a new culture, and all of that leads to sales. You’re not sure about that? Ask your ad buyer, or your ad agency. You think that the ad agencies haven’t figured that out? Yes, they did! For an entitled millionaire to say that he loves and respects women, because you know, he’s “married to one”, is like saying: “I love idiots, I’m married to one”. If you take out the word “women” and switch it with any other word, you’ll see what I mean. Are men feeling like they’re losing supremacy over the world? Instead of this being an opportunity to engage 1/2 the world population, some see it at a threat. And that was just tennis. A few days after that, 4 women in the US National Soccer Team filled a complaint with the Equal Employment Opportunity Commission against U.S. Soccer claiming the women’s team should be paid an equal amount as the U.S. Men’s National Team. The reason for the complaint? They are being paid 4 times less than their male counterparts. And that’s after they win the World Cup! And bring in more revenue by 20 Million than the men’s team. Yeah. Alex Morgan, Megan Rapinoe, Becky Sauerbrunn and Hope Solo decide to take the fight into their capable hands. At the end of #WomensHistoryMonth and after all the commentary in the media about Djokovich, and equal pay, this argument is ripe for gaining momentum. 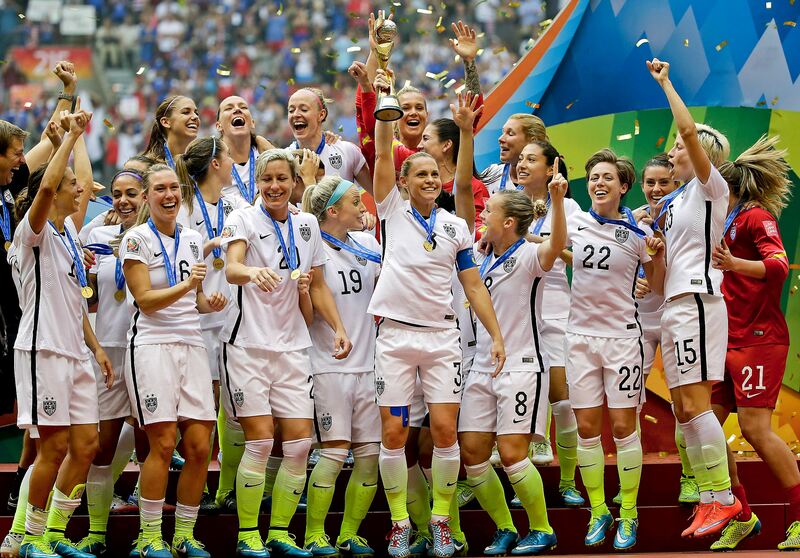 In a Forbes article today, Bill Conerly justifies why women deserve to get paid less in soccer. His explanation is that because women get paid less by their respective clubs, they would play the national team for a lot less than the men would, because , basically, beggars can’t be choosers. So, a simpler way of putting this, because women get paid less, it’s justifiable that WOMEN GET PAID LESS! Never mind that this is another institution/company all together. Never mind that women brought in more money for the National team then the men did! Never mind that the women’s, not the men’s, team has won the World Cup in 2015. He can still find justification for it! He goes on to answer to the comments on the article in the same exact way. Like an old guy, actually like an rich old white guy. Bill, this isn’t a CLIENT we’re talking about here. It’s the NATIONAL TEAM! In the country where women have been fighting for equality for over 100 years you cannot justify women getting paid less in the National Team because of how they’re being paid by privately held clubs. One doesn’t give you argument over the other! And the other argument that he makes, is that women’s games have less attendance at club level, and are rarely televised. That, to me, sounds like Novak Djokovic’s and Raymond Moore’s comments, all wrapped in the same ignorant, misogynistic blanket. Televise more women’s matches, and see what happens! And no, it isn’t only women that need to get behind women’s sports! It is the men in the leadership of the clubs, or the national team, that need to get behind the women. This fight for equality cannot be won if only the women speak out, and only the women do something. This is a battlefield that will require involvement from all sides. If men are ok with their daughters getting paid less than their sons, then they haven’t been raised by the right woman. Tennis is working on rectifying that, with equal winnings at tournaments. At least the BNP Parisbas Indian Wells does, paying men and women equally for the past 10 years. The activists are pushing for equality in the business world, although we haven’t made any progress in 10 years! And yes, I get the irony. In soccer, at the national level, it is far worse. Women get paid 1/4, that is one-quarter, of what the men do. Is it because men’s loyalty is harder to buy? Or are women considered second class citizens? Should the National Team be the place to show the blatant discrimination? And this is after Pres. Obama signs the Lilly Ledbetter Fair Pay Act into law. Let’s do something about this. Let’s talk about equal pay at our jobs, at our clubs, at the voting booth. Let’s talk about this with our boyfriends, with our spouses, with our kids, with our colleagues. We need to start moving in the right direction again. Maybe I don’t want a day. I want 21 percent more money in my paycheck and policies in place that will correct the gap. I want more female leaders. I want more women — especially women of color — in tech. I want paid family leave. I don’t want to debate female negotiation prowess, or to contribute to a society in which women are the only people penalized for being parents. I chose to fight for equality my way, by creating The Business Magazine for Women, a digital platform that talks about business, technology, entrepreneurship, finance, culture and socially impactful news for today’s business woman. I plan on being the conduit where when can voice their opinions freely in any field of interest, without being censored by misogyny good ol’ boys clubs. We have a voice, and it is different that the men’s, and it’s high time we have a platform that lets us speak about the issues that matter to us. Equality and equal pay is one of the issues. If you’d like to join us at TBMfW, you can reach us here: Email, Facebook and Twitter.